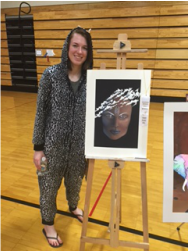 Erin Hays, Madi Franklin, Anna Saltzgiver, Taylor Lindquist, Maria Sadjak, Billy Trosper, Julia Padhila, and Alley Abel win 13 ribbons at the 2016 BNC ART & DESIGN COMPETITION! click here to see their work! 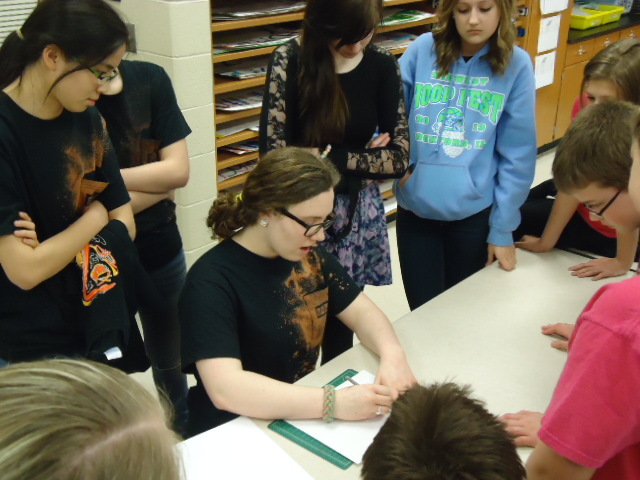 A group of awesome teenagers who love getting creative in workshops and spreading their love of art into the community. 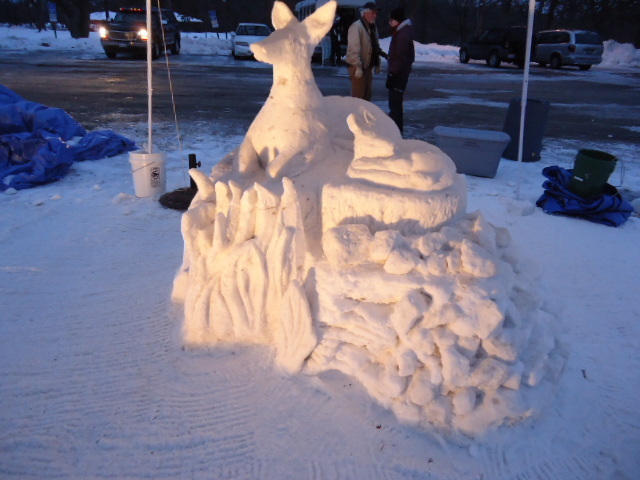 4 students get chosen each fall to compete in the state snow sculpting competition at Sinnissippi Park in Rockford. See Mrs. Driscoll if interested. Throughout the year artwork gets chosen on its quality and concept to be entered into one or more competitions. The BNC competition is the most fun! Rock Valley College invites BHS to exhibit our work each spring and each year our students win awards! Maybe you will be the next ribbon winner! This is a very competitive exhibition. 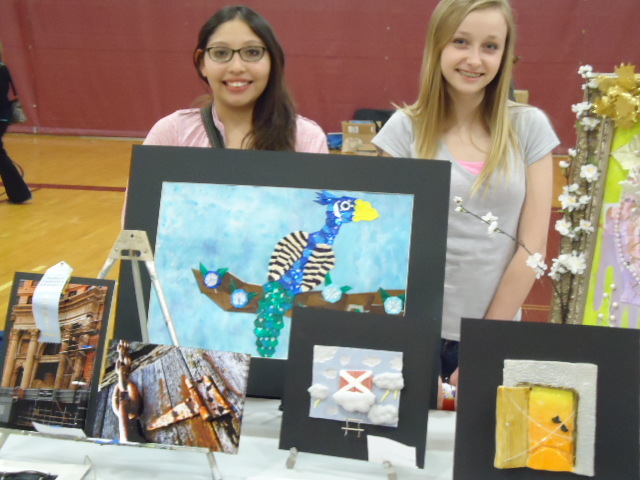 Only a few Byron students are chosen to submit work into the show. Work hard and you will reap the rewards!